Whether your vehicle is brand new or 40 years old, damaged auto glass needs to be replaced as soon as possible to maintain its safety and structural integrity. Crackmasters is your source for quality auto glass replacement in Canada. We have more than 60 locations throughout Canada, Crackmasters can handle your auto glass replacement needs wherever you are. Why is auto glass replacement so important? Your vehicle’s auto glass, especially the windshield, helps support the frame of the vehicle. If the structural integrity of your auto glass is compromised because of a crack, and you get into an accident, the window could break out completely and you could be ejected from the vehicle. At Crackmasters Canada, we’ll always consider repairing your auto glass first. Auto glass repairs can actually improve the strength of the glass. Repairs are also less expensive and help keep auto glass out of landfills. But if the damage is extensive enough that the glass can’t be repaired, our certified auto glass replacement specialists will install new, OEM-quality auto glass. Once we’ve evaluated the damage and determined you need an auto glass replacement, we’ll contact our glass supplier and order the replacement auto glass for your specific vehicle. This replacement auto glass is produced using the original equipment manufacturing standards, so it’s just like the glass that was installed at the factory. If it’s the windshield we’re replacing, we’ll perform a full cut out of the old adhesive and clean the frame to ensure the replacement auto glass has a quality seal that won’t leak or fail. 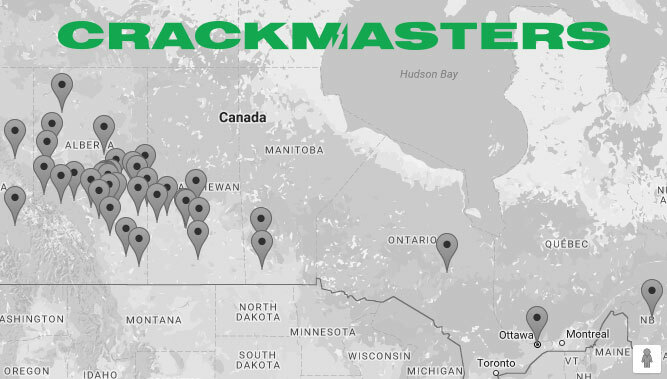 If you need an auto glass replacement in Canada, you can find a Crackmasters shop near you using our handy glass shop finder. You can also request a free quote for your auto glass replacement here. Be sure to let us know if your auto glass has any special features, such a rain sensors, a shade band or a third visor. This will help us order the right auto glass for your replacement.